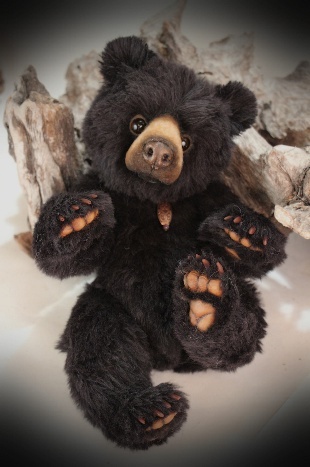 This Beautiful Bear is 14" tall. He is made from thick 1" thick Black Mohair Alpaca Blend. 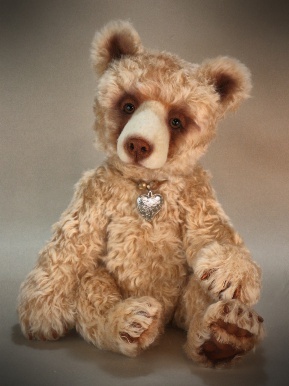 He has natural paws, claws and a realistic resin nose, a needle felted muzzle, big Brown Glass eyes, wire in his ears and armature in his Legs, back and neck for easy posing. 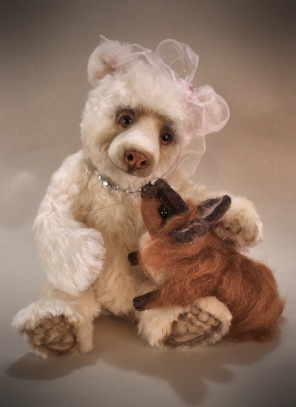 Violet is a sweet little girl Bear, she has her own long haired Needle Felted Bunny to Love. 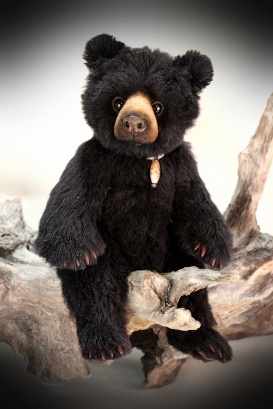 This Beautiful Bear is 14" tall. 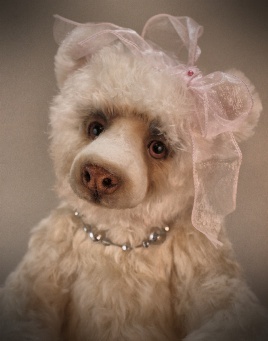 She is made from 1" thick White Mohair. She has natural paws, and a realistic resin nose, a needle felted muzzle, big Rose colored Glass eyes with lids and armature in her Legs, back and neck for easy posing. She wears a crystal neckless. 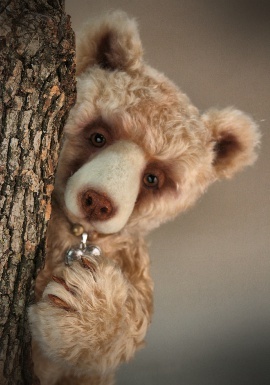 Iven is a Kermode Bear also known as a "Sprit Bear" he is part of a series of Realistic styled Bears. 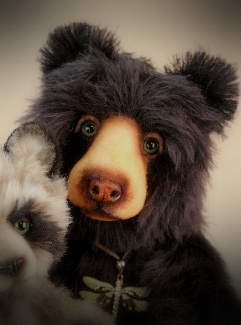 This Beautiful Bear is 18" tall. He is made from thick 1" Champagne colored Mohair. 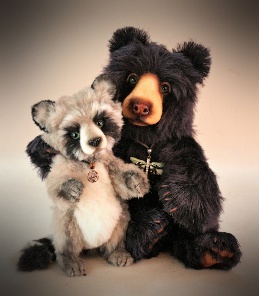 He has natural paws, claws and a realistic resin nose, a needle felted muzzle, big Brown Glass eyes with lids and armature in his Legs, back and neck for easy posing. He wears a Pewter Heart.